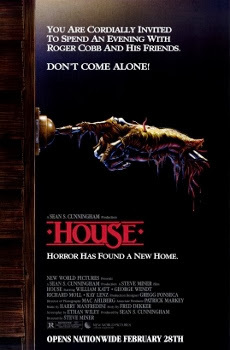 House was released into theaters on February 28th, 1986. Filming locations include Monrovia, Ca. It was directed by Steve Miner, who also directed genre standouts Friday the 13th Part II, Friday the 13th Part III, Warlock, Halloween H20, Lake Placid as well as the pilot episodes for both The Wonder Years and Dawson's Creek. The lead of Roger Cobb was played by William Katt who also starred in 1976's Carrie. The score was written by Harry Manfredini. The films first DVD release came in 2002. Known as Mills View, the house designed by architect Luther R. Blair was built in 1887. The crew spent about a month modifying the house which included repainting the entire exterior, bordering the front yard with a wrought iron fence, supported by stone pillars and attaching spires to the roof. The back of the house had it's clapboard facade covered with brick and landscapers were brought in to plant flowers and reseed the dying lawn. The house didn't have a sidewalk at the time so a faux walkway made of plywood painted to look like concrete and positioned to lead straight to the front porch was added. Some time after production a true walkway was installed in the same spot, looking very much like the one in the film. It was designated as a Monrovia city landmark on June 4th, 1996. 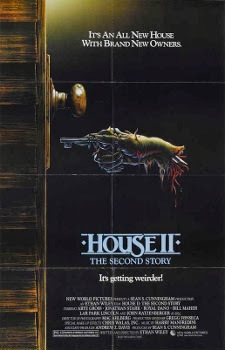 House II: The Second Story was released into theaters on August 28th, 1987. Filming locations include Agoura Hills and Los Angeles, Ca. Kane Hodder, who aside from playing Jason Voorhees in four Friday the 13th films, is also in my opinion one of the best stunt men of all time, served as stunt coordinator on the film. His Friday the 13th Part VII nemesis Tina Shepard played by Lar Park-Lincoln also starred in the film as Kate. She was also in an episode of Freddy's Nightmares titled It's a Miserable Life. Genre fans may also recognize Jonathan Stark who plays Charlie from his role as Billy Cole in 1985's Fright Night. As was the case with it's predecessor the score was composed by Harry Manfredini. The films first DVD release came in 2002. The centerpiece location is known as Stimson House. Designed by architect H. Carroll Brown (only 27 years old at the time) and built in 1891 for Thomas Douglas Stimson for $150,000. The distinctive red stones were obtained from a quarry in New Mexico. San Fernando sandstone was used for the windows, balconies and the tower's crown trim. The most prominent feature on the house is the four-story gothic tower. The top of the tower and ridges are crenellated and finished with notched battlements. Other important features include a third floor balcony with a gabled arch and a stepped gable with a Palladian window. Each room on the first floor is furnished with a different type of wood and the heavy doors have double thickness to match the wood of the room on either side. Ash, birch, gumwood, mahogany, oak, sycamore and walnut were all used. The house also has a basement that's been described as "a maze of rooms and arched doorways". In February 1896 the house was the target of a dynamite attack. It blew a large hole in the side of the house but the thick foundation wall was not damaged. 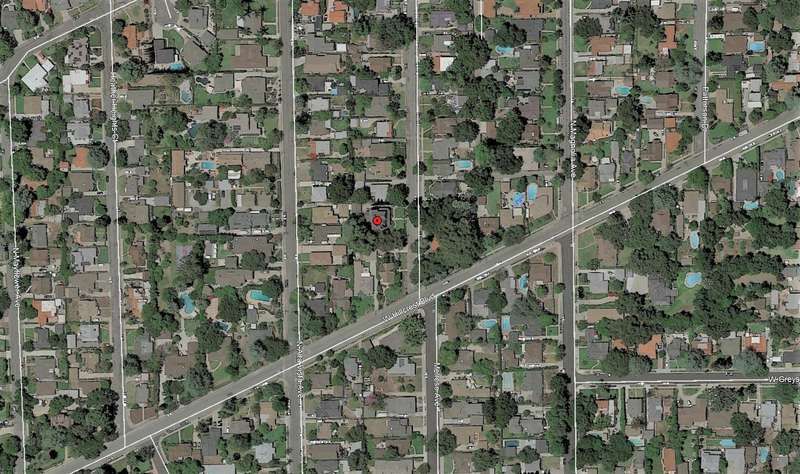 Thomas Douglas Stimson passed away in 1904 and the house was purchased by civil engineer Alfred Solano. In 1918 Edward R. Maier, owner of Maier Brewing Co., bought the house and it served as the Maier family home until 1940 when it was sold to USC's Pi Kappa Alpha fraternity for $20,000. About 13% of the original cost of construction. In 1948 Carrie Estelle Doheny, who lived directly behind the Stimson House on Chester Place, purchased the house for $75,000 and deeded it to the Sisters of St. Joseph Carondelet to use as a convent until 1969. From 1969 to 1993 it was used as housing for students at Mount St. Mary's College. In the fall of 1993 the Sisters of St. Joseph Carondelet reoccupied the house and once again used it as a convent. The Stimson House was listed on the National Register of Historic Places in 1978. 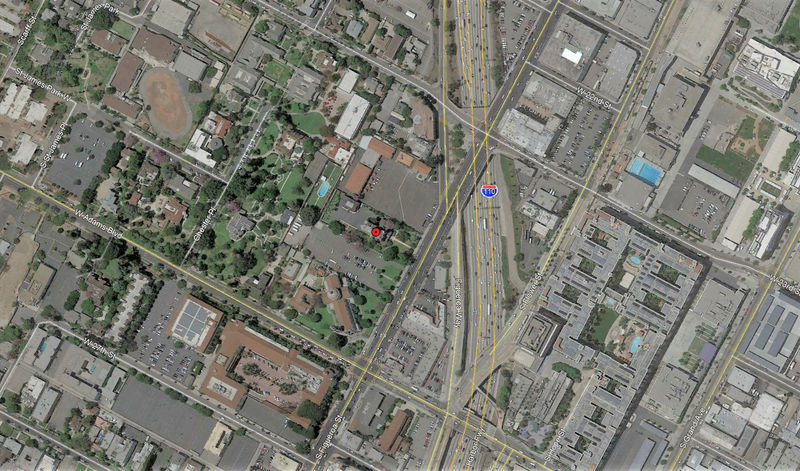 On May 16th, 1979 it was designated as City of Los Angeles Cultural Monument No. 212. 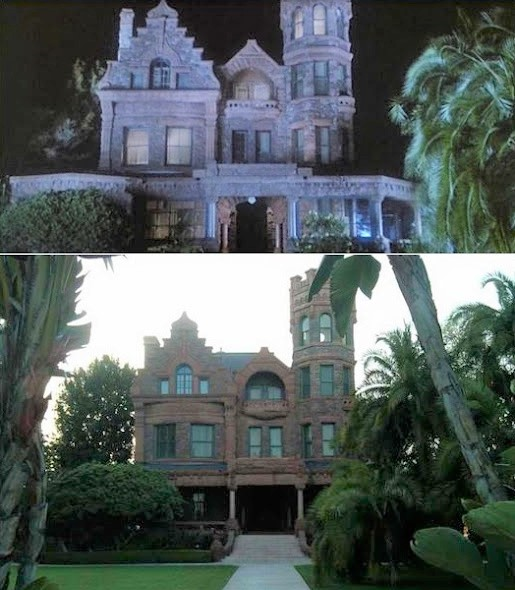 The house was also featured in the 1989 film After Midnight. In 1927 Paramount Pictures purchased 2,700 acres of the old Rancho Los Virgenes to use as a movie ranch. For twenty-five years the ranch thrived as a filming location for hundreds of television shows and movies, mostly westerns. In 1952 Paramount Pictures had to sell the ranch due to changes in the studio system. The ranch found renewed life as a filming location when William Hertz bought the southeast portion in 1953. An ardent fan of western movies, he built a permanent western town utilizing Paramount Pictures' old prop storage sheds. The Paramount Raceway opened a year later, however it was closed after just eighteen months due to two fatal crashes in December of 1957. Most of the track still winds through the grass and oak woodlands of the park. After purchasing a portion of the original Paramount property in 1980, the National Park Service revitalized the movie ranch. Some notable productions hear over the years include American Sniper, Bone Tomahawk, Death Race 2000, Doctor Quinn Medicine Woman, The Great Outdoors, Van Helsing and Westworld among many others. 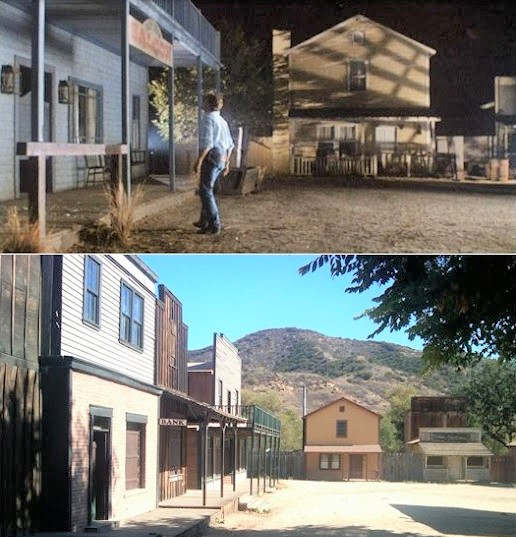 Sadly, the 2018 Woolsey Fire nearly wiped out every structure on the ranch with the exception of the train station and church used for the filming of Westworld. Representatives have stated that the intent is to rebuild the ranch in it's entirety by 2021. Is the paramount ranch accessible? Yes, unless they're filming something during your visit.